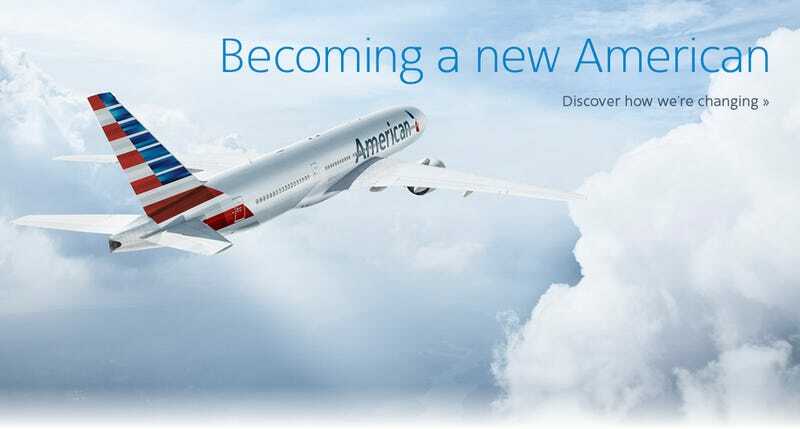 Is American Airlines Becoming US Airways? I’ve been a loyal customer of American Airlines for quite a few years now, and seen the changes they’ve made to become a better airline as a great improvement... Then that dark day came where US Airways basically took over AA, although they called it a merger. I should maybe explain what this is all about... In 2013 I few a little over 100K miles on American + OneWorld and thus became Executive Platinum member. EP has some great benefits, of which the most important (to me) one is 8 Systemwide upgrades per year because we buy economy tickets in the company I work for. As someone who does a lot of longhaul flying, flying in business makes a world of difference, mainly because you can get some proper sleep, which minimizes jetlag after arrival. Last year I unfortunately only made it to around 90K miles, which dropped me to Platinum level. I could probably have found a $700’ish return flight somewhere to get me the missing 10K points (I know a lot of people do that), but finding that time around Christmas is tough, so I settled with a year without the upgrades and brushed it off as not that big of a deal (even though it really was). In January I get an email letter from American, with a great offer... I could maintain my EP level and the perks that comes with it for a measly $2,500! I delete the email! The nerves... I was more upset with this, than I’m happy to admit. Were they serious? The amount was beyond reasonable... How can this be considered good customer service? Don’t they know that you can accrue that amount of points for a fraction of what they’re asking? I decided to let it go. After all, I was happy with AA in so many other ways. Then March came with some crazy travel plans, and between mid March and mid April I flew about 35K on AA/OneWorld plus a few thousand miles on other airlines. When I got home, there’s an E-mail from American Airlines. “Hey, we see that your’re flying a lot this year already, how about you reconsider spending $2,500 on upgrading to EP Level? Seriously AA... Stop sending me emails about boosting my status to Executive Platinum!!! You sent me one in January because I only flew 90,000 miles with you last year, and then again today (probably because I flew 35,000 miles in the last 30 days)... But no, I am not interested in paying $2,500 for an “upgrade”! If it was a reasonable amount, then I would have considered it but that’s just nuts... I considered buying a $5-700 return flight, that would have gotten me the missing 10,000 points at the end of last year and would have, could I have found the time. But you’re asking for 4 to 5 times that amount?I’m seriously considering changing loyalty program over this and find a airline that doesn’t try to squeeze every dollar out of their loyal customers! So American Airlines (or US Airways) apparently think is a great value? I think they have lost touch with reality... And I know what I’ve lost: My patience with them! So now I’m looking for a new airline/loyalty program. I’ll rather change now, before I see an airline I loved flying with change into the airline I disliked the most! So where do I go, what are my options? I mainly fly SoCal to Hong Kong and London. I’m sure there’s great advise from fellow Jalops that with help me make the right choice... Let me know in the comments!